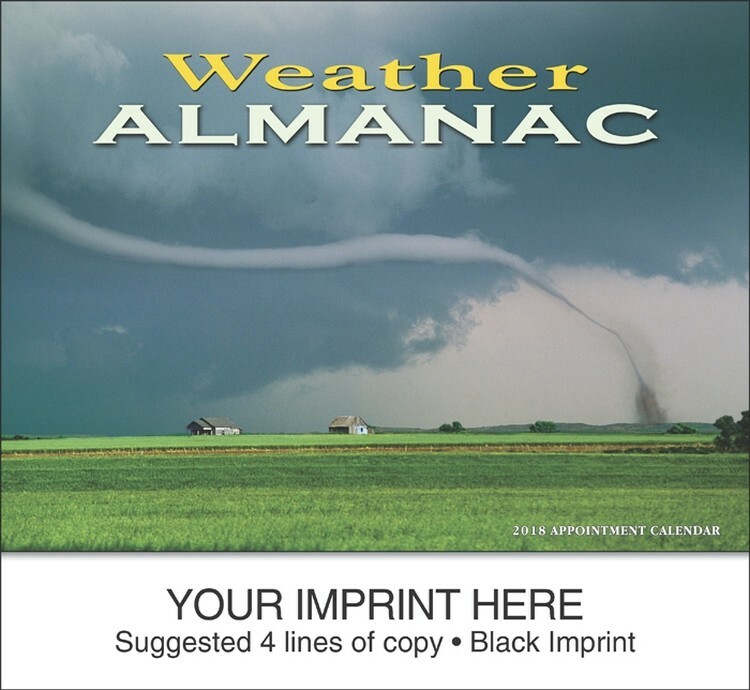 This weather chart calendar is an eight-sheet-style. 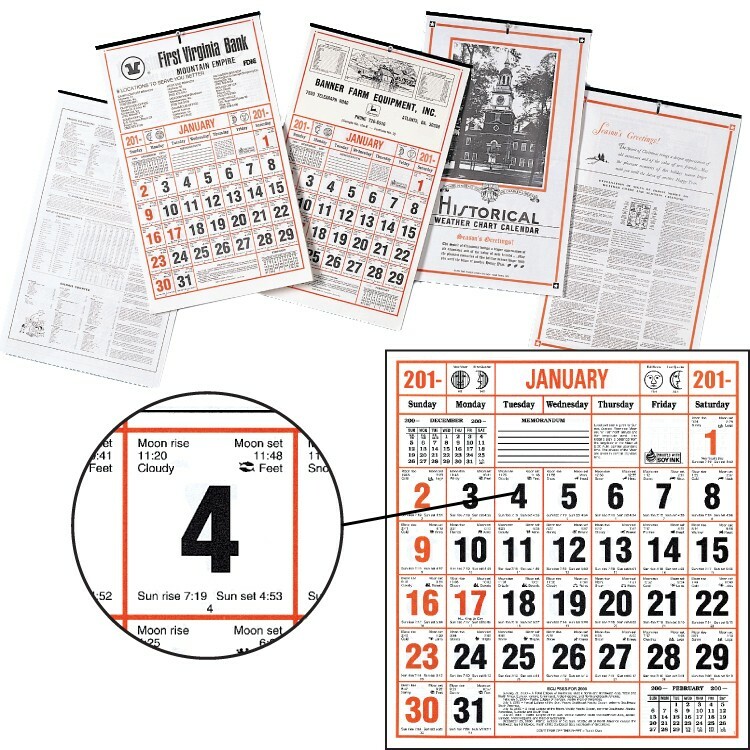 These pad sheets are printed on both sides as is customary on this type of calendar. We offer a choice of two top sheets featuring Independence Hall with the Liberty Bell or the Signs of the Zodiac. At the top of each pad sheet is a scenic picture in black with changing information on both sides. 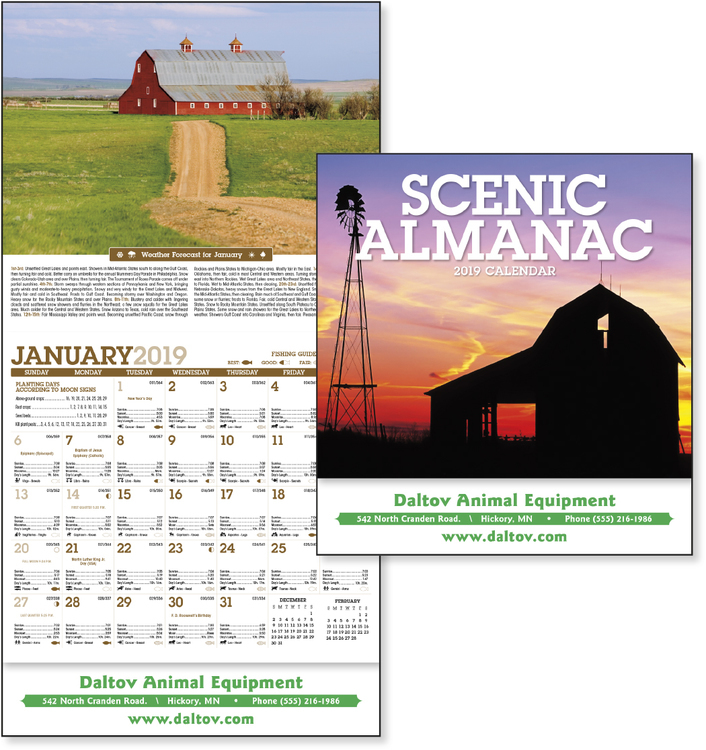 These pictures change each month or may be eliminated upon request.